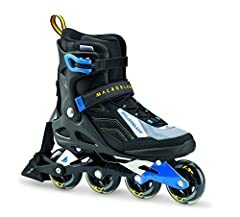 The Rollerblade Macroblade 80 Inline Fitness Skates for Men are a great choice for skaters looking to expand their skills or progress to an aluminum frame by offering the ability to fit up to 84mm wheels on this skate frame. 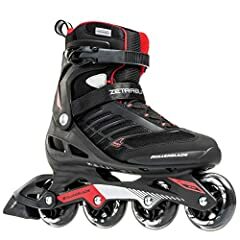 They are constructed with seamless boots to ensure comfort and capability, providing a close and snug fit without being too loose or flexible. 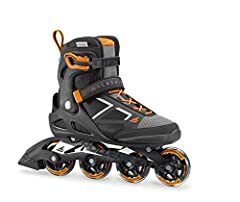 A stable cuff ensures a wide range of motion without a loss to support. 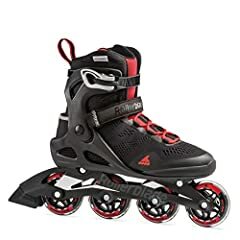 The aluminum frames are stiff and outfitted with 80mm wheels that will grant good speed and smooth rolling on a majority of skating surfaces.